Netflix has released the first poster for the upcoming series Chilling Adventures of Sabrina, a darker reboot of Sabrina, The Teenage Witch. 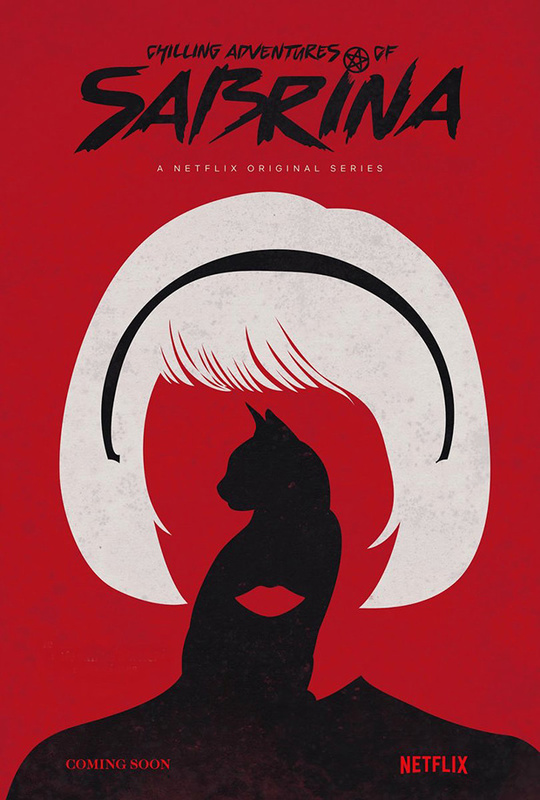 The series stars Kiernan Shipka as Sabrina, Lucy Davis as Aunt Hilda, Miranda Otto as Aunt Zelda, Ross Lynch as Harvey Kinkle, Jaz Sinclair as Rosalind Walker, Tati Gabrielle as Prudence, Chance Perdomo as Ambrose, Bronson Pinchot as school principal George Hawthorne and Michelle Gomez as possessed teacher Mary Wardell. The series was created by Roberto Aguirre-Sacasa and will debut with ten episodes.